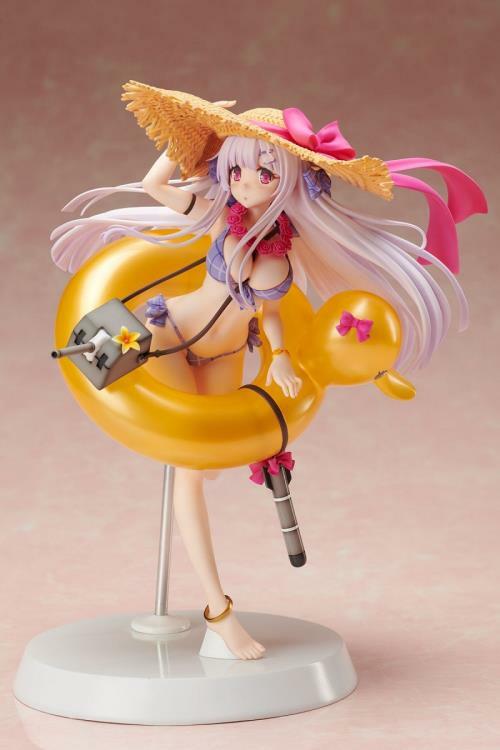 From "Azur Lane" comes an adorable figure of C-class destroyer Cygnet all dressed up for a day at the beach! Her bikini, sun hat, and beach accessories are all based on her "Sea Star on Shore" illustration from the game. 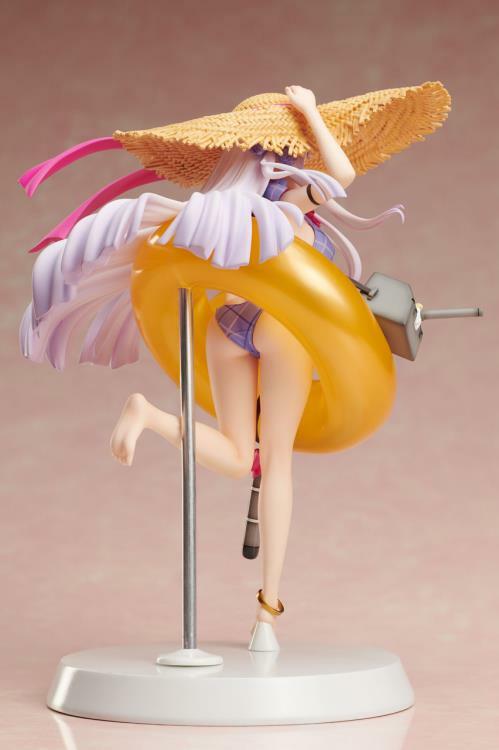 Every detail of the original artwork has been beautifully captured in figure form for fans to enjoy, down to her blushing expression as she tries to hold all her items together. 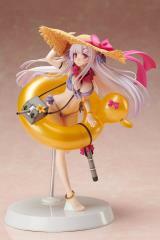 Her sun hat features a realistic texture, and her inflatable duck ring has been recreated with clear plastic to give it an authentic look, too.